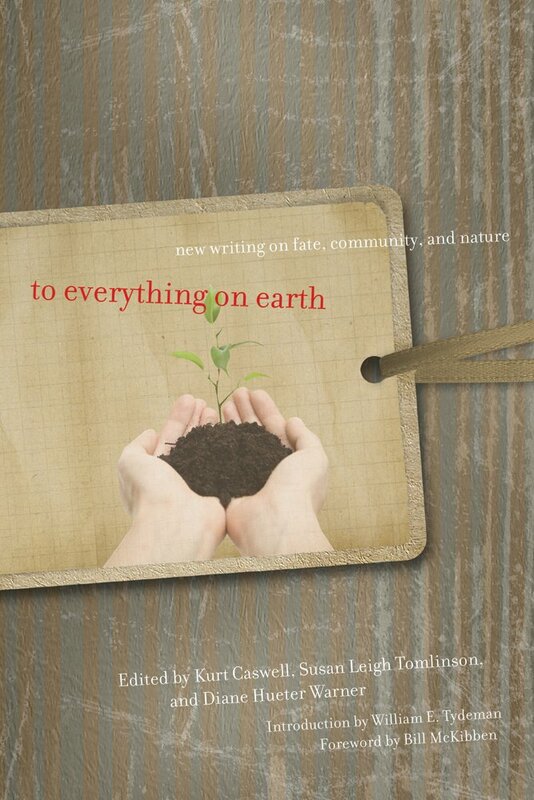 Anthologized in To Everything on Earth: New Writing on Fate, Community, and Nature, edited by Kurt Caswell, Susan Leigh Tomlinson, and Diane Hueter Warner. Introduction by William E. Tydeman, Foreword by Bill McKibben. In October 2004, Barry Lopez invited a group of writers to meet with him, Bill McKibben, Alan Weisman, and Dennis Covington at the Junction campus of Texas Tech University. Out of this meeting grew a community that has since collaborated on initiatives and projects tied to fate, community, and nature. To Everything on Earth is a journey through many landscapes. It begins with stories that look at the external landscape, the world around us, asking hard questions about the capacity to destroy what we love best. The stories then turn inward, into the human heart, searching for an answer there. The journey ends by addressing perhaps the central question of our time: how best do we make a home on earth?